We all love a fairytale, from the 'Once upon a time...' right through to the 'Happily ever after' ending! 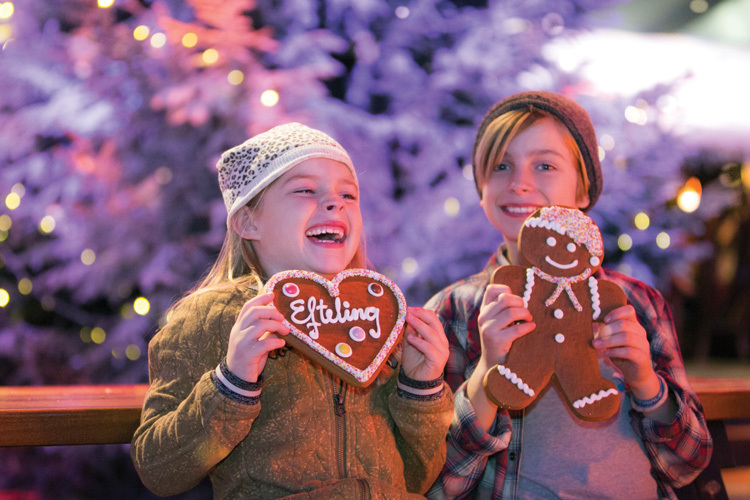 So this winter we are giving you the chance to win an enchanting family break to Efteling Theme Park Resort in Holland. Follow the magical glow of fairy lights as they guide you into a world where fairytales, myths and legends are brought to life, this unique theme park brings a whole lot of winter sparkle from 12th November 2018 to 31st January 2019. Transforming into ‘Winter Efteling’ with thousands of twinkly lights and snow, there are huge bonfires to keep you warm. You can glide around the ice rink or melt at the sight of your favourite fairytale character in the Fairytale Forest. Ride on the enchanting attractions and experience the thrills of the rollercoasters, as everything comes as part of your ticket price. Feeling chilly? Then snuggle up with a hot chocolate and listen to merry songs while you warm your fingers and toes around the fire. You can even see the magical Aquanura, Europe’s largest water show! Your eyes will pop at the sight of the fountains dancing to fire, lights and brilliant music, plus you can dance along during the Winter Festival with the Snow Princess and the Fire Prince. Does that sound like your family's perfect winter break? Efteling Theme Park Resort, the largest theme park in Holland and oldest theme park in Europe, is just 90 minutes from Amsterdam and an easy drive from the Eurotunnel Le Shuttle terminal in Calais, so a world of fairytales, delightful dreams, thrills and adventures isn't far away. Plus, under fours go free. Why not book a cosy stay at the Efteling Hotel or the Loonsche Land Hotel, only a short stroll from the park? Or relax in the Bosrijk or Loonsche Land Villages, where you can choose from lakeside lodges, woodland cottages, village square houses or cosy cabins and take the miniature shuttle train to and from the park.